Ranked amongst the topmost culturally rich nations, India is a land of authentic and diverse range of handicrafts or handmade artworks.In this vocation, artisans work on varied natural raw materials and craft them into beautiful products using their exceptional hand skills. The Indian market offers abundant options for handicraft home decor products ranging from handmade paintings and traditional embroidered cushion covers to earthenware and bamboo basket. Here is a catalog including the most popular types of handicrafts across India. Brass is a long-lasting metal made of copper and zinc. It reflects golden hue which gives it an eye-catching appearance. 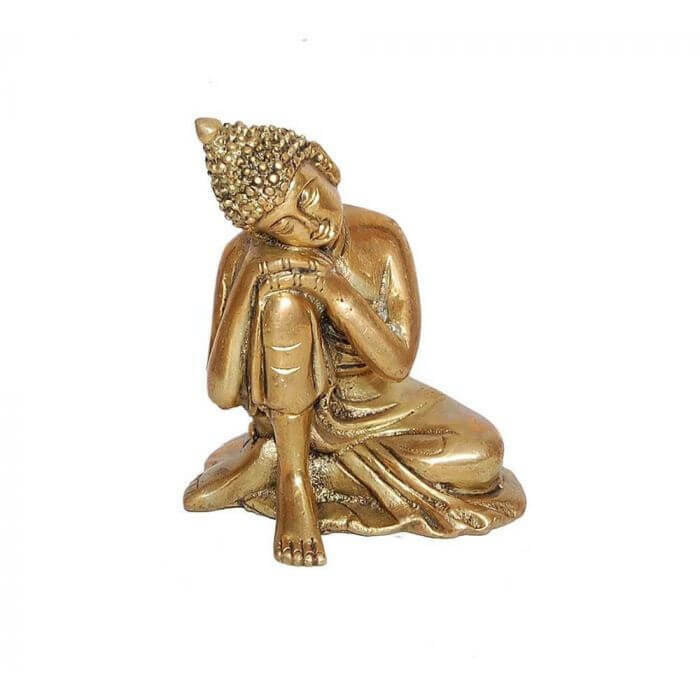 Plus, articles made by brass do not tarnish quickly.These characteristics make brass a popular choice while creating as well as buying handicraft home decor products, especially during the festive season. The brass handicraft generally features God/animal figurines, utensils, centre table pieces and jewellery boxes. In India, artisans making brass handicrafts are called ‘Kansaris’ and majority of the brass product manufacturing is done in Rajasthan. Prevailing from Harappa Civilisation, various types of pottery designs are now visible in India. 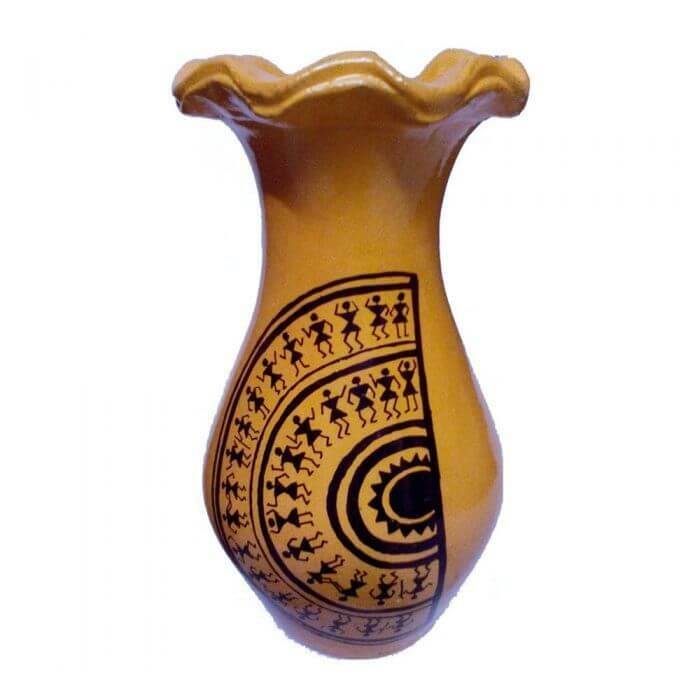 On one side, North India is famous for basic terracotta earthenware in dark red and black colour, whereas Uttar Pradesh is known for its orange, light red and brown earthenware.Then there are Rajasthan artists who design pottery products in geometric motifs. Pottery home decor products generally includes vases, flower pots and serving utensils. The Northern and North-east states of India are world-famous for handicrafts made from walnut. Similarly, South Indian states are known for crafts made from Sandalwood and Rosewood. One can shop plenty of wooden interior decor products – bowls, ornament box, candle stand, toy carts, bangle holder, table mats, animal figures and even vermillion mini box. Intricate hand-carved wood work is treasured skill of Indian artists. Dhokra handicraft or the non-iron metal casing technique origin goes back as far as 4000 years. It is atribal handicraft of Madhya Pradesh, however, home decor products using Dhokra style are now also produced in Eastern states – West Bengal, Bihar and Orissa. Dhokra handicraft products are commonly visible in the art and craft exhibitions organized across India. One of the oldest Dhokra artefacts is a dancing girl of Mohenjo-Daro. The other product range includes – elephants, horses, tortoise, candle stands, ash trays, owls, Godsculptures, bowls among many others. Rural paintings such as Kalamkari from Andhra pradesh, Madhubani of Bihar and tribal paintings like Bhil painting from Rajasthan, Gond paintings belonging to Central part of India collectively form a huge collection of handmade home decor products. These paintings are available in the form of framed wall art or motifs hand-painted on fabrics, showpiece, etc. Jute is one of the most affordable natural raw materials available in abundance in India. The artists use various knotting techniques to form a durable jute-based home decor article such as plant hangers, swing, coasters and table mats.Bags, purses, footwear, baskets, ottoman, pen stands are other products crafted from jute fibre. West Bengal, Bihar and Assam dominate jute handicraft industry in India as they are also the leading producer of the natural fibre. Bamboo baskets, bamboo curtains and decorative bamboo lampshades are few handicrafts listed under the most eco-friendly home decor products. Since India is a leading producer of bamboo, handicrafts made from bamboo are available across the nation. Though,majority of the bamboo handicraft home decor products come from Assam, West Bengal, and Tripura. Vibrant coloured papers are cut-paste together to create beautiful crafts like kites, decorative flowers, masks hand fans, and lanterns.These home decor products are basically made from re-cycled papers. Originated in Mughal era, the paper handicraft industry is dominantly located in Gujarat, Delhi, Uttar Pradesh, and Bihar. Handmade bead work is a popular decor option to add a little shimmer to your home. Numbers of strings of beads are embedded on a fabric or a shell by hands to produce beautiful cushion covers, napkin rings, purses, dream catcher and curtains.The handmade beaded home decor accessories are a rage specifically during festive season. Decorating house hold items like pillows, bed sheets, table mats, wall arts with traditional thread works using hands is a commonly visible practice in every house of India. In fact, it is a source of income for majority of women living in rural areas. Techniques such as appliqué work, mirror embroidery, Phulkari and Kantha bring an elegant touch to the home decor products. Copyright 2017 - Decorifylife - All rights reserved.